The recent presentation of a list of students to be admitted to Venezuela’s public university system by the Ministry of University Education, Science and Technology has caused uproar among university faculty and administrators as a new assault on their hard-won autonomy. Venezuela’s public universities traditionally relied for admissions on a nation-wide test administered by a Ministry dependency, the University Planning Office (OPSU); some schools also applied further internal admission exams. Because of the increasing difference in quality between public and private high school education, private schools students tended to do better in those tests and therefore had more chances of gaining admission to free public universities. In 2008 the universities conceded to government pressures and came to a new agreement: universities would be in charge of admitting 70% of the students, and the OPSU the remaining 30% (up from 13% before). But last December Minister Manuel Fernández, announced the creation of a new OPSU controlled System of University Admission which would, according to the Minister, “assign university slots in agreement with the Plan of the Fatherland.” Fernández was referring to the Plan de la Patria, the Chávez inspired document which President Nicolas Maduro refers to as his government’s program. The new system would guarantee that more public school graduates made it to the universities. High school grades would count for 50% of the admission index instead of 97%. New variables such as the socio-economic status, place of residence, and “citizen participation” would account for the remaining 50% of the index. This announcement meant that universities lost most of their control over student admissions. The Universidad Central de Venezuela had 70% of their list given to them. 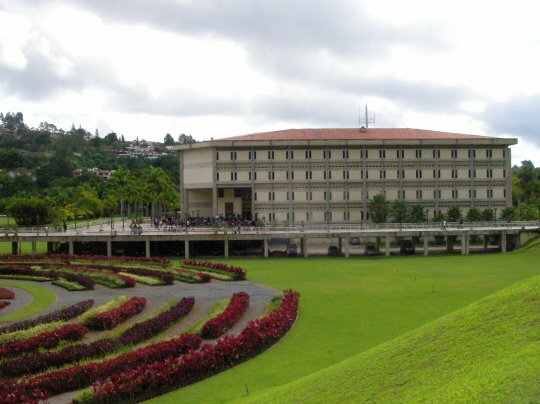 The Universidad Simón Bolívar, Venezuela’s most important technology and engineering university had 100% of their incoming students assigned to them. University authorities were quick to react. The Venezuelan Association of Rectors, and association of authorities of universities, declared they would not cede the slots each university assigns to students through their internal admission procedures. And therefore, they do not have the installed capacity to admit the list of students announced by the Minister. The Constitution of 1961 guaranteed free university education, but Chavismo has always argued that during the decade preceding Chávez, that this became an empty promise. Indeed, as public secondary education deteriorated since the early 90’s, private high school graduates filled most university slots. Therefore the government considered admissions tests to be exclusionary. University authorities, on the other hand, argued that budget constraints were the true obstacle to a massive expansion of the system. The solution was not to eliminate admission tests, but to invest in improving public high school education and increasing university budgets to allow for expansion. Venezuela’s public autonomous universities are the one part of the public sector that Chavismo has not gained control of, because they have far-reaching institutional autonomy over their budget, faculty hiring and promotion, student admissions and election of university authorities. As such, for the past sixteen years these universities have been the most articulate and credible source of government opposition. Attempts to get Chavista candidates elected as university administration and student government have largely failed. The autonomous universities fear the admissions process now controlled by the Ministry will favor pro-government students, and eventually lead to political control by the government. Students not only elect the leaders of the student government, they also participate in the election of university authorities. It is also important to remember that the 2014 wave of protests was largely populated by students from Venezuela’s public autonomous universities. More broadly the student movement has the highest favorability ratings of any sector of the opposition. Thus being able to select which students enter this incubator of opposition activism is clearly in the government’s political interests.